In the photo: beautiful Moray. 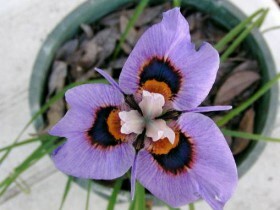 One of the most interesting plants of the family iridaceae is still a gimmick. Onion culture looks very elegant, effectively, reminiscent of cyclamen. Naughty African beauty can not tolerate even light frost and requires strict growing conditions. Experienced gardeners are not afraid of difficulties, and Morey is just such a culture, in the cultivation of which you can show all their talents. Flower definitely will respond with gratitude for your work. Plant Carl Linnaeus named in honor of his wife Sara Lisa Morea. 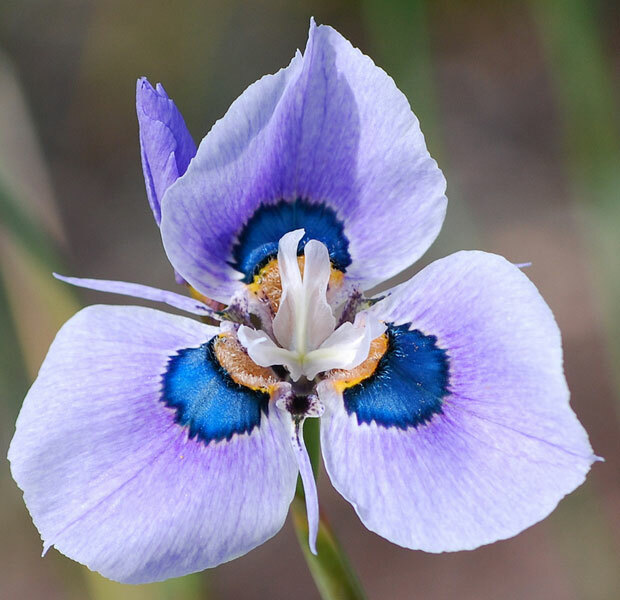 African irises grow to a height of 90 cm, in the middle lane – up to half a meter. The leaves are long, narrow, thin stalks. 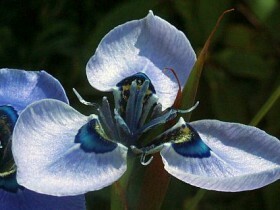 The flower consists of three or four petals, their shape may be oval and elongated. 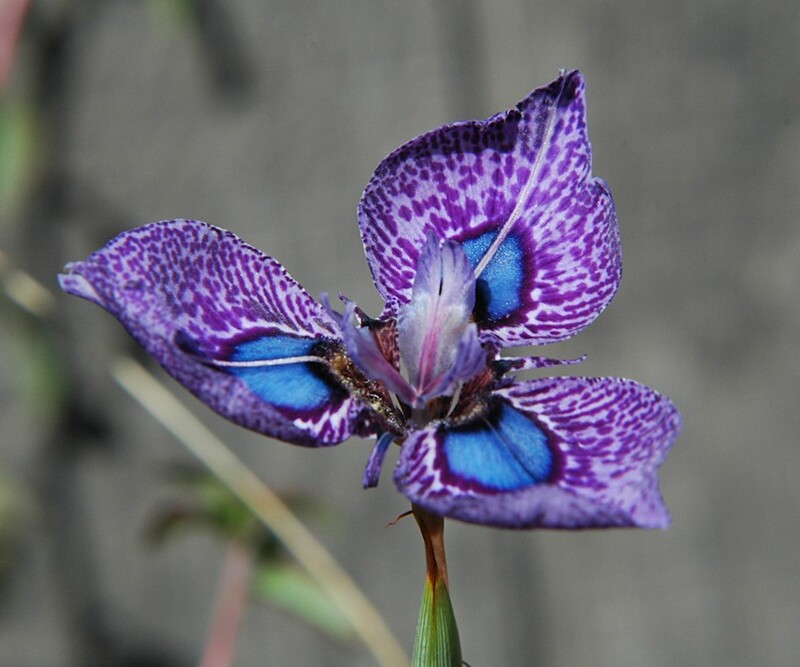 The highlight of the culture, the beautiful patterns and spots, which give the flower expressiveness and originality. Mother of pearl texture of the petals adds even more charm. Morea flowering lasts from three to nine weeks. Each flower is pleasing to the eye just three days. If you plant a culture group, this lack of leveled. The usual time of flowering in the garden in late summer and early fall. After falling off of leaves tied round or oblong fruit. The seeds rarely ripen, but they are on sale. Moray goluboglazaja, little, violet-blue with yellow spots. 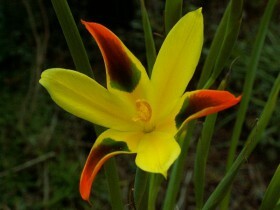 Found only in the nature of the kinds of little remarkable, with small flowers. The pride of the garden need to be placed in the most conspicuous place, where it will look most advantageous. 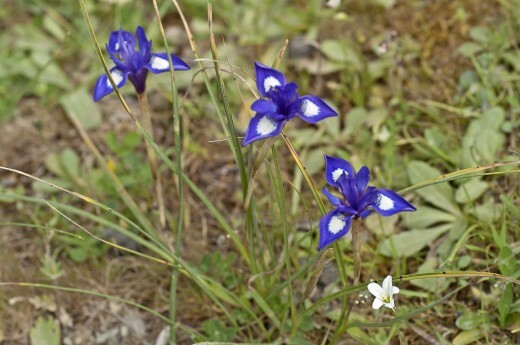 The main drawback of the culture – low winter hardiness, in regions with harsh climate, exotic flower dug in autumn. Moray can grow as a houseplant with a dry and cool rest period or a greenhouse culture, which then kicked, when there is a need. Other options: garden container or pot plant, which is removed for the winter in a heated indoor or seasonal plant, planted in open ground in spring. Culture is very specific, she is actively growing in winter and spring, and in the summer resting. When grown in a greenhouse it is better to stick to natural cycle. The garden planting calendar shifts, in winter, the southern beauty trying to tranquilize and stimulate the awakening in the spring. In regions with a mild climate Moray is deservedly ranked as easy to grow crops. In regions with cold climate the plant is planted in well-lit areas. Morey does not tolerate drafts, strong winds, thin stems can break. For growing suitable secluded, warm and protected platform. The soil for the normal development of culture should be easy, air- and permeable, great importance is good drainage. The nutrient content in the soil can be compensated by dressing. 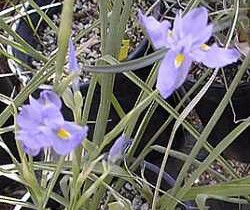 Moody bulbotuber is best to settle on the hills, in rockeries or the rock garden. Sandy loam soils are best for, than loam, should be provided with neutral acidity. In regions with harsh climates bulbs culture buried in 5 cm, in warm regions planting material rip slightly. In the open field Morey is transferred in the second half of April. Distance between plants – about 25 cm. Flower does not like crowded, he has a very developed peripheral roots. Experienced gardeners when planting place the corms in the basket of the mesh, the technique will help to protect the plant from rodents. The most convenient containers for growing Morea – bowl 30 cm. Culture is not sensitive to dry air, the substrate must be stable, moderately moist. For supplements are made of a mixture of, designed for bulbous plants, "dose" it is better to halve the recommended. Feeding is carried out once in the stage of budding or two-three times after planting, at the beginning of flowering. If the soil quality and fertile, fertilizer is not necessary really. During the rest period, Morey, don't water. Greenhouse and horticultural crops dug up and taken indoors at the first autumn cold. The rest period stems and leaves are cut, child corms separated, dried and placed in a sand or substrate for storage. In the winter Morey, kept in a dark dry and well-ventilated area with cool temperatures two to five degrees Celsius. In the photo: Moray goluboglazaja. The simplest method is vegetative. During the excavation of the bulbs freely separated from the parent plant. You can try to divide new nodules in fragments. Morey does not tolerate thickening, for this reason, the mother bulb and "children" cannot be placed in one container. 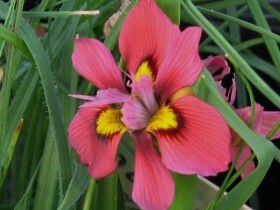 Timely removal of new corms allows you to get a more spectacular flowering. Plants are easily propagated by seed, which is on sale in specialized stores. Moray blooms only in the third year after such a landing. The time for sowing is late autumn for indoors, the end of winter for use in the garden. Seeds bury into the soil for 3 – 4 mm, cover film. As soon as shoots appear – remove the film. Dive produce six weeks, then the plants are not transplanted within two years. On the third Moray can be moved from room conditions in the open ground. Moray – culture resistant, affected by rare diseases. In late spring the plant can suffer from spider mites. During the rest period, the moisture causes rotting of the bulbs. 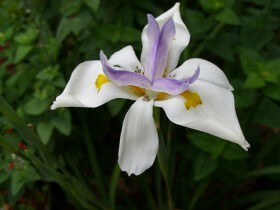 The most tender of plants can be the main accents in the flower garden. Graceful Moray – choice of experienced gardeners. Morey hairy or Peacock flower. All content on this site SamDizajner.ru written specifically for Simdesigner, copying 1 in 1 strictly prohibited. Reprint, full or partial rewriting of the article “Moray – exclusive in a flowerbed”, possible, only when you specify the full, active link to the source.